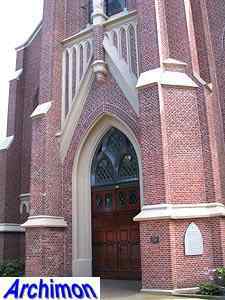 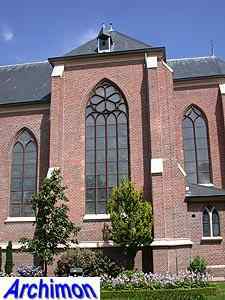 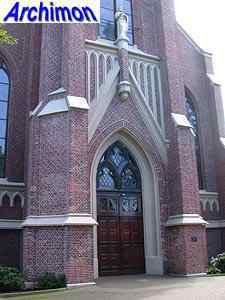 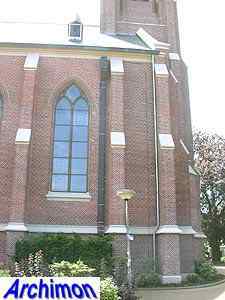 The catholic church of Vasse was built in 1861-1865 and is in a simple neo-Gothic style with few ornaments. 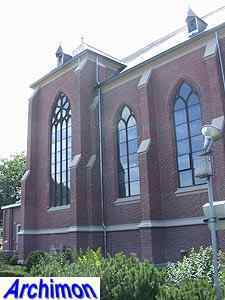 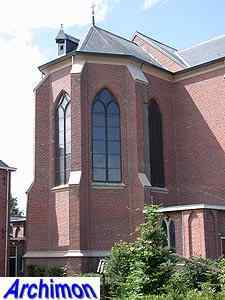 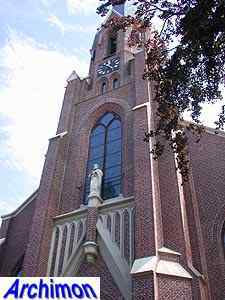 The architect, whose exact name seems unclear as the "van" in his surname is often ommitted, also designed catholic churches in Haarle and Vriezenveen, both of which are long gone, as well as a reformed one in Buurse that still exists. 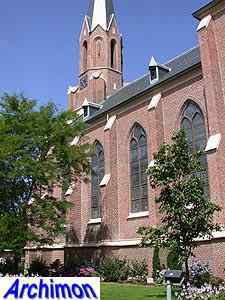 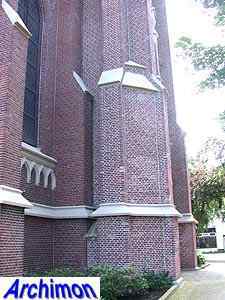 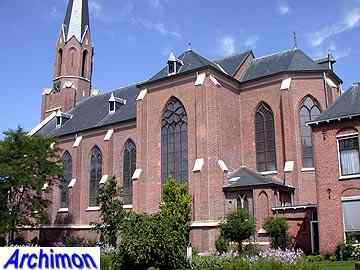 Obviously Roosmalen wasn't a prolific architect of churches, let alone an experienced one. 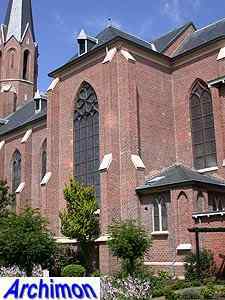 His sole surviving catholic church is a fairly large cruciform building with a three-aisled nave and a narrower choir. 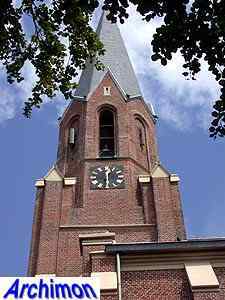 The tower wasn't added until 1871 and consists of a square lower part and an octagonal upper part. 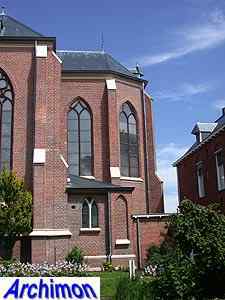 Unlike the rest of the church, the facade excluded, the tower is decorated with ornaments of natural stone. 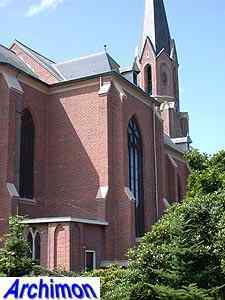 Although the tower is credited to H.J. 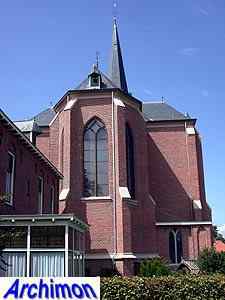 Wennekers, it is believed that this architect used Roosmalen's plans.